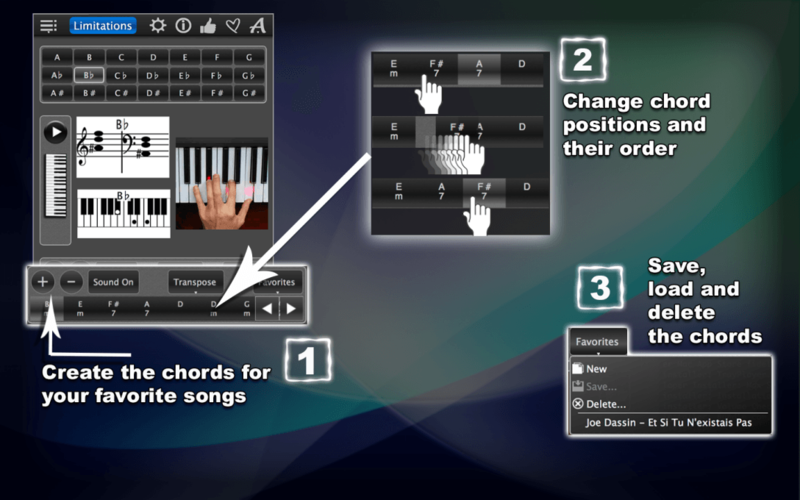 Learn how to play piano chords with this free app! 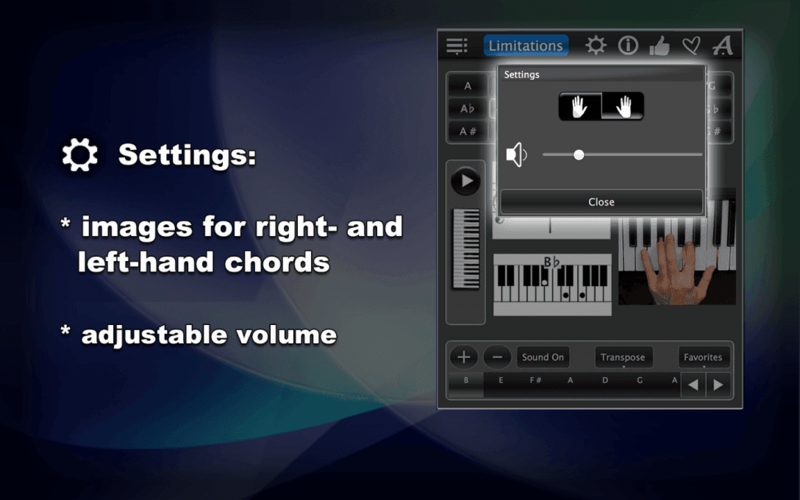 Piano Chords Lite is a great app for someone learning to play piano or synthesizer. Here you can find basic major piano or synthesizer chords to play your favorite songs. This easy-to–use app will help you find the chords you need when you need them. It is suited for any level of experience. Whether you are looking for beginner piano, intermediate or advanced, you will find the chords that are right for you! Select a chord, and the app will show it to you three ways: as piano music notes, marked keys on piano keyboard pictures and photos with finger positions, so that you know exactly how to play the chord. Push Play to hear the chord! Create your own piano chords chart / chord sequence to accompany your favorite song! Change the order of chords in a chord sequence any time you want! 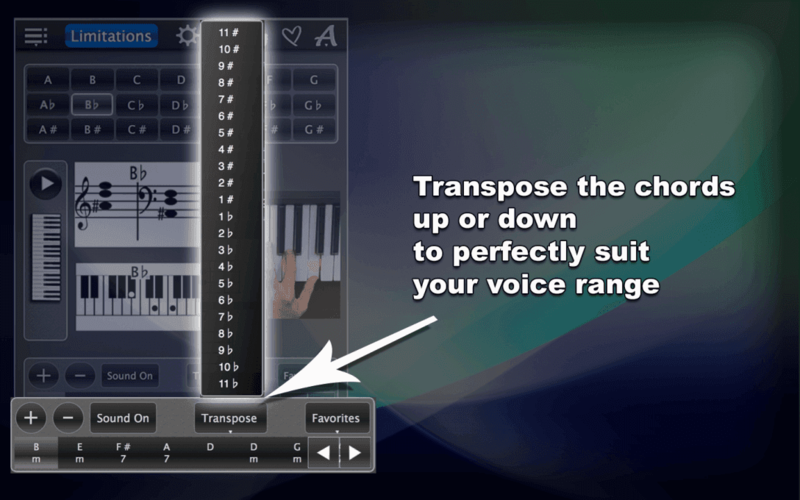 Transpose chords up or down to suit your singing range! Learning how to play piano chords has never been easier! With this app, its quick and easy-to-use interface and the sounds it features anyone can learn to play any major chord they wish. You can play these basic chords on classical piano, different types of synthesizers or a Grand Piano! You can also adjust the volume and choose the right-hand or left-hand chords. You don’t need a music teacher or countless how-to videos to show you basic major chords. 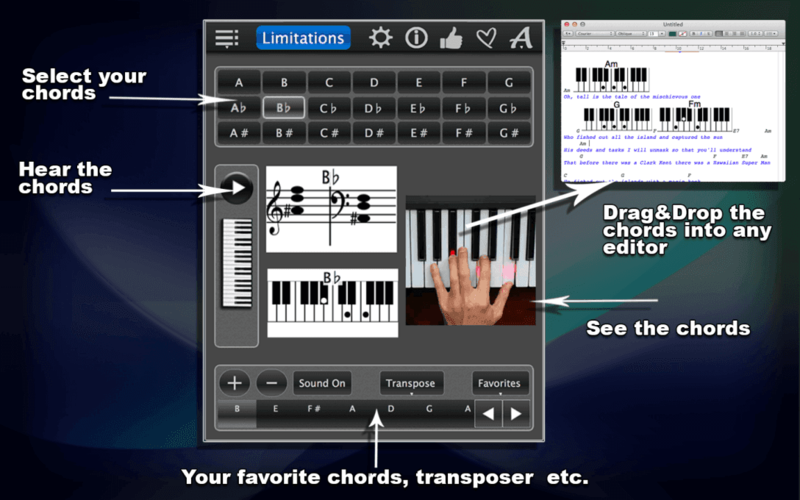 Piano Chords Lite can help you play piano today! And the best part is, it’s FREE! Need more chords, including minor chords? Upgrade to 120 Piano Chords today!